Need a multitrack mobile studio? 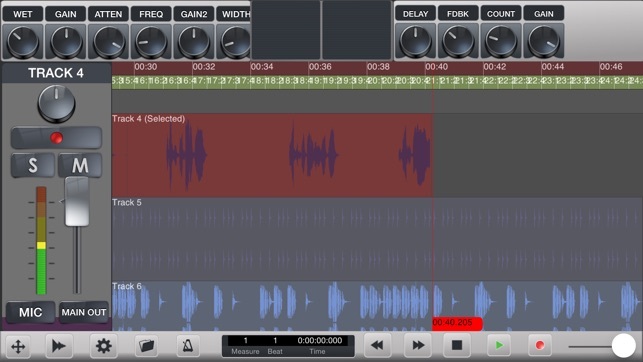 Record nearly limitless vocal tracks on your iOS device with Pocket Studio! 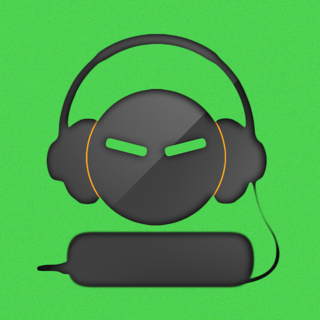 • Import multitrack audio stored in a zip. 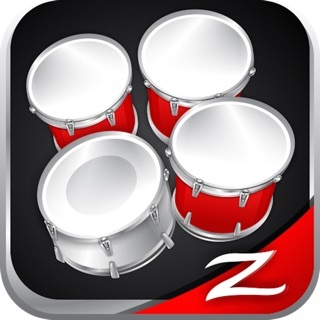 (Use Dropbox or some online drive app to open zip in Pocket Studio. Pocket Studio: Don't pay for studio time, Buy the Studio! - Recording Input: Tap "input" on any track to set the audio source, tap the top record enable button on the track, tap the lower right record button on the menu bar/transport then tap play to begin recording. Constantly deprived of in app purchases made !!!! I NEVER WRITE REVIEWS...LET ALONE POOR ONES, HOWEVER THIS CASE I CANT HELP MYSELF!! 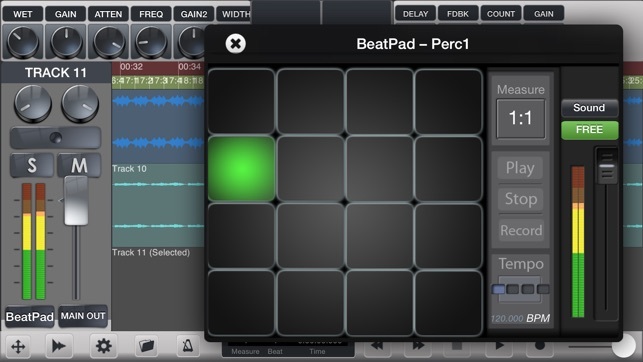 !This could have been an excellent DAW solution for many needs at an amazing value, however, literally EVERY time it is updated, or there is a significant iOS update, the in app purchase of the sound library for the beat pad extension of the app (one of my favorite and frankly only things truly keeping me coming back to this app) keeps saying “not purchased” upon scrolling the sounds and I have no access to the sounds I paid for. I’ve tried re installing , ive tried restoring purchases , re purchasing only for it to say “would you like again for free” even though it is never returned . This is the 4th time in 2-3 years this MAJOR roadblock has occurred in the same exact fashion and this time , I give up!!!! STAY AWAY FROM THIS PRODUCTIVITY KILLER and TIME WASTER, not to mention MONEY WASTER , especially when you consider how healthy the options are to go somewhere where developers don’t seem to suffer from this. There is no excuse other than poor coding or not caring. 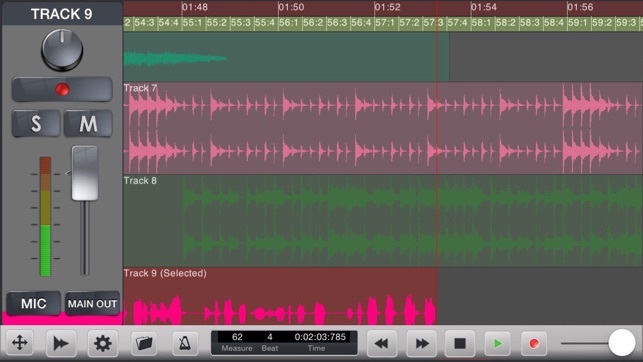 This is a very nice DAW. It's powerful! 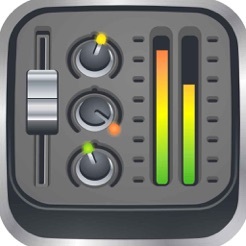 But without Audiobus, it makes your other music apps useless. If you purchased the expanded Audiobus, you'll be even more unhappy. XME has had several years to update. Rather obvious that they have no intention to fix this MAJOR issue. LOOK elsewhere! ok, this has to be a joke or maybe I’m missing some kind of hidden tab, because this can’t possible not have Audiobus or Inter App Audio support can it???? 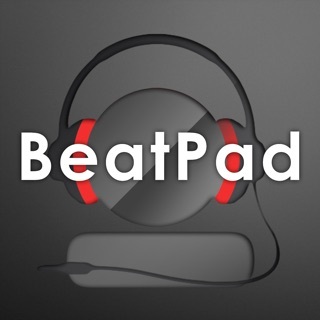 Same with Beatpad…. what is this developer thinking??? ?